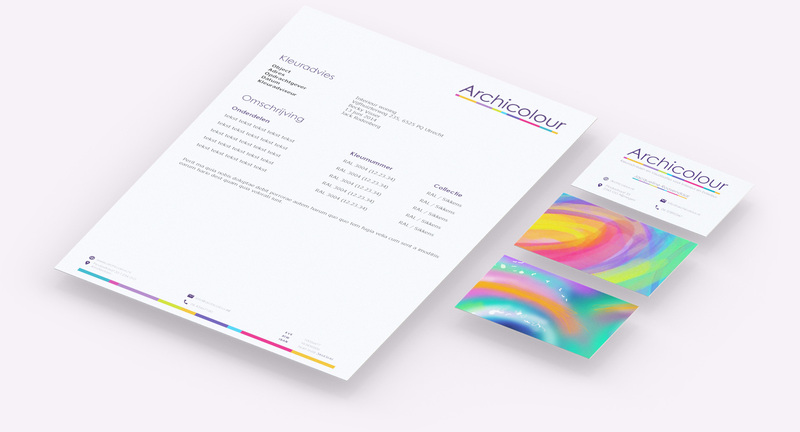 A fresh and vibrant Website and Brand for color architect Archicolour. Archicolour designs colors schemes for the interior and exterior of buildings. Often rejecting current trends for something beautiful and timeless that fits perfectly in every way. 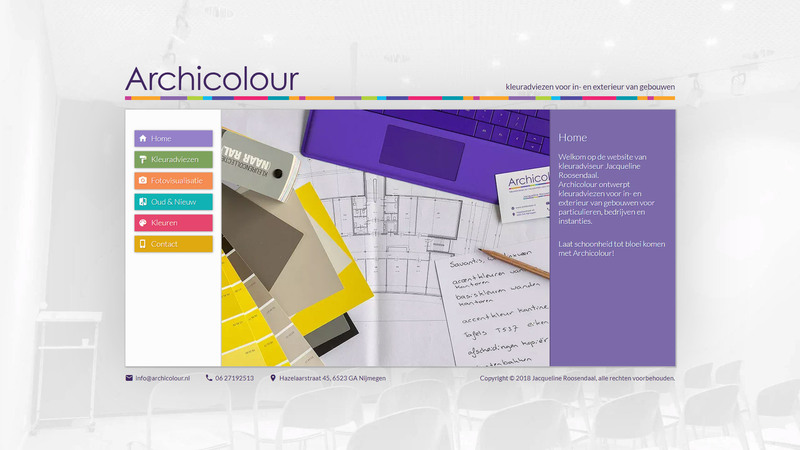 With this website, my goal was the same, something beautiful and timeless that perfectly showcases Archicolour. The center of focus is a photo gallery that you can naturally swipe through. My favorite is the before & after page where you can see the improvement a new layer of paint makes. With minimal text and a lot of pictures the website is fun to use! 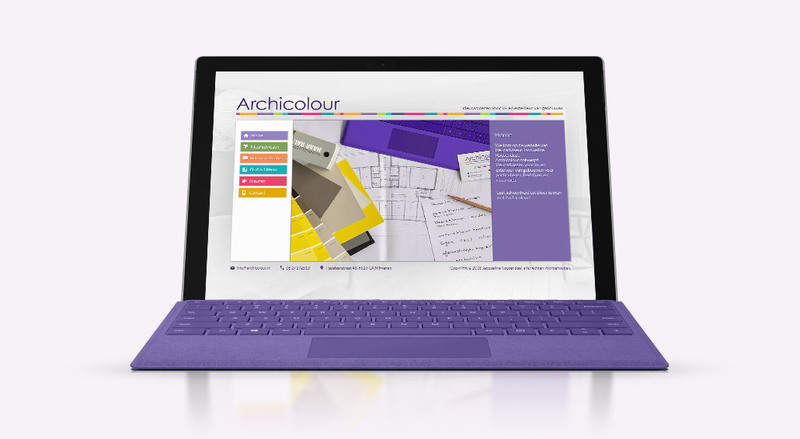 It would be a shame if the logo didn’t showcase some of Archicolour’s great color choices. That’s why it does! In the form of a colorful confident line below the wordmark. Both the business cards and letter paper are clean and efficient. The colorful confident line makes a return. It even makes invoices fun. All business cards are unique. Every business card has a surprise on the back, a part of a colorful painting. Can you collect them all and complete the picture?